Visitor Information Centre at Wainwright Museum 1001 - 1st Ave. (Old CN Station) 780-842-3115 Wainwright is located on Highway 14, just over a two-hour drive east of Edmonton. The town has a historic feel, with a wide selection of boutiques and restaurants, plus opportunities to view wildlife or learn more about Canada's rich prairie railroading history. Celebrates 65 Years! 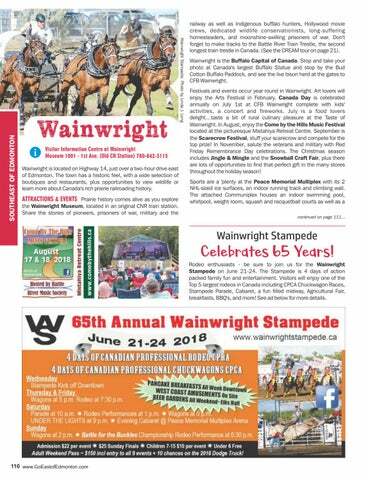 Rodeo enthusiasts - be sure to join us for the Wainwright Stampede on June 21-24. 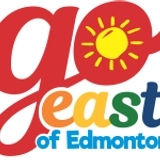 The Stampede is 4 days of action packed family fun and entertainment. Visitors will enjoy one of the Top 5 largest rodeos in Canada including CPCA Chuckwagon Races, Stampede Parade, Cabaret, a fun filled midway, Agricultural Fair, breakfasts, BBQ's, and more! See ad below for more details.